Federal authorities executed a search warrant on a home in Virginia belonging to former Trump campaign chairman Paul Manafort in the last two weeks, ABC News has learned. Sources told ABC News the search warrant, issued by the FBI, stems from the ongoing investigation by special counsel Robert Mueller into Russia's meddling in the presidential election and possible collusion between the Trump campaign and the Russian government. A spokesperson for Manafort confirmed the warrant to ABC News and said in a statement, "FBI agents executed a search warrant at one of Mr. Manafort's residences. Mr. Manafort has consistently cooperated with law enforcement and other serious inquiries and did so on this occasion as well." 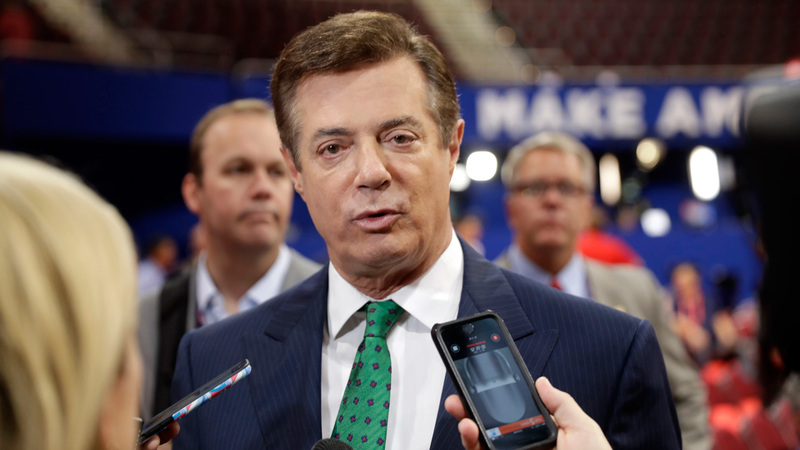 Just last month, Manafort registered as a foreign agent for his past work on behalf of Ukraine, his spokesperson confirmed at the time to ABC News. He resigned from the Trump campaign last August amid questions about his foreign business ties. Manafort and the president's oldest son, Donald Trump Jr., have started handing over documents to the Senate Judiciary Committee in compliance with the panel's investigation into possible Russian election interference. The Trump campaign sent over more than 20,000 pages of documents to the committee on Aug. 2, the deadline to submit documents to the committee. Manafort produced about 400 pages, including his foreign agent advocacy paperwork. In letters to Manafort and Trump Jr., the Judiciary Committee asked for all documents related to their June 2016 meeting with Russian lawyers, as well as any communications or records of attempts to obtain information from Russians about Hillary Clinton or the 2016 presidential campaign.